Biomechanics is a branch of the life sciences for the study of the structure and function of biological systems including humans by means of the methods of mechanics. 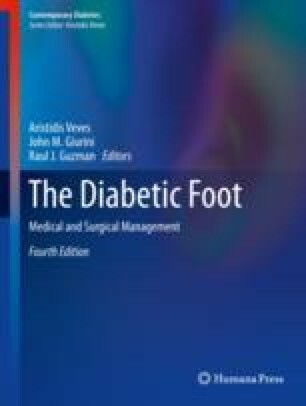 Biomechanics is clearly relevant to diabetic foot, since the majority of the feet injuries are related to the mechanical stress applied to the structures of the feet. Thus, callus is formed in the feet when increased pressure is applied for a prolonged period of time; an ulcer will not heal if there is no sufficient offloading; and callus or ulcers will recur if there is no proper offloading of the vulnerable areas of the feet. Knowing, therefore, the basic biomechanics of the foot is important for understanding the mechanism of development of ulcers, for organizing prevention methods, for the treatment of ulcers, and for prevention of relapses. For the Biomechanical and functional evaluation of the diabetic foot and the general mobility of the person, must be a holistic approach which include: the morphological investigation of the foot; the mobility measurements (Range of Motion) of the foot joints; the recording and evaluation of the pressures around the plantar area and the weight distribution between legs (weight shift %); the Gait assessment and evaluation through kinematic and kinetic analysis of the movement of the foot and other body segments, like pelvis and trunk; and the assessment of the static and dynamic balance.